Looking back, and knowing what I do now, I could have saved myself a world of trouble. To say that I made my fair share of mistakes when I first began dealing with my own thyroid issues would be an understatement. Yet, that’s also why I’ve spent years devoting my life to helping hypothyroidism sufferers. I don’t want others to make the same mistakes that I did. And I certainly don’t want you to either. I’d rather save you from the world of trouble that I went through. After working with so many clients, I’ve come to realize just how many mistakes people are making every single day as they struggle with this devastating condition. …I want to share with you some of the biggest and most common mistakes I see today. And I can guarantee that you’ve been misled by one or more. This is one of the most in depth posts I’ve written to date. It’s long and deservedly so because we’re covering some very big and important topics like adrenal fatigue, gut dysfunction, hashimoto’s, and weight loss that are responsible for much of the misinformation and lack of real answers today. So, I hope that I can help you avoid some of these pitfalls and get you back on the road to recovery where you belong. 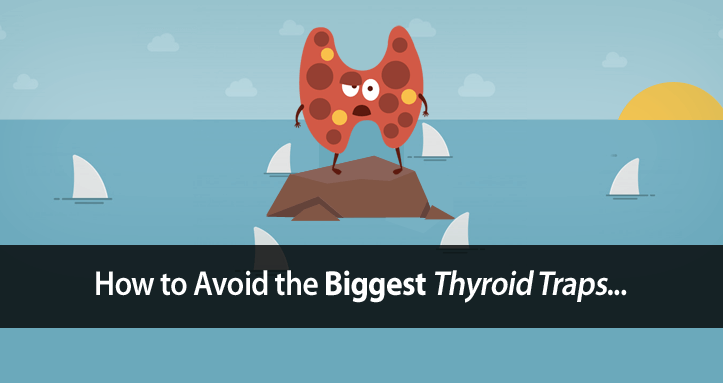 While these thyroid mistakes are not listed in any particular order, you’ll want to read them all because they are all extremely important… especially the last. Now, don’t get me wrong and let me be clear. Your thyroid is definitely involved. But, is your thyroid really responsible for your hypothyroidism? Or, is it the victim of bigger underlying problems? Talk to just about any doctor or look up the definition of hypothyroidism and you’ll likely get this same answer. People are led to believe that hypothyroidism is simply a result of a dysfunctional thyroid gland. With hypothyroidism, you can’t just look at your thyroid gland alone. You have to look at your entire Thyroid Hormone Pathway. Your thyroid gland being blocked from releasing thyroid hormone. Your liver not being able to convert your thyroid hormone into the active form. Your carrier proteins not being able to transport your thyroid hormone to where it needs to go. Your cells receptors being blocked from allowing thyroid hormone into your cells. Your cells not being able to use what thyroid hormone you do have available. Your hypothyroidism can be caused by any one of these problems with your Thyroid Hormone Pathway. Most hypothyroid people are dealing with a number of these Thyroid Hormone Pathway problems. 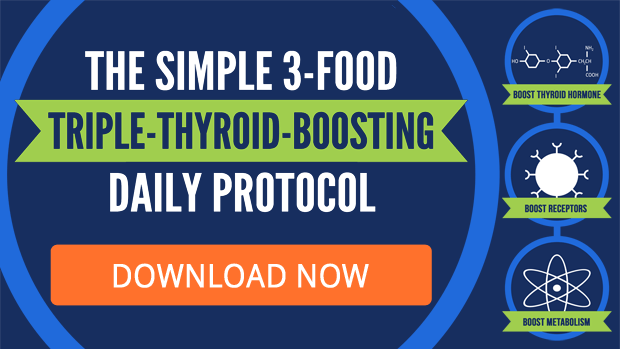 In the 3 Food Triple-Thyroid-Boosting Daily Protocol, I show you our SOBC Method for unblocking your Thyroid Hormone Pathway while exponentially boosting thyroid function. Addressing this complete Thyroid Hormone Pathway is how we get such great results with our clients and our HR Program. And this is also why supplementing or medicating with thyroid hormone alone doesn’t work for most. If any part of your Thyroid Hormone Pathway is blocked, your body won’t be able to use that thyroid hormone. We focus first and foremost on unblocking this pathway as our primary method of improving thyroid function. Restoring your ability to get thyroid hormone to your cells and to use that thyroid hormone efficiently can oftentimes make all the difference. Even if you’ve had your thyroid hormone levels tested and they are low, you still can’t blame your thyroid gland. In this case (and particularly with Hashimoto’s), it’s oftentimes the effects of excessive estrogen that’s blocking your thyroid gland from releasing thyroid hormone. This can make your thyroid gland appear to be the culprit with it’s really not. As I said, there’s much more to it than that. Failing to address your entire Thyroid Hormone Pathway is one of the most common reasons why people fail to ever get any results. Based on research, we know that your TSH should be less than 1.5. Yet, the TSH test itself is unreliable for a number of reasons. While TSH does rise as thyroid function declines, it can also be artificially suppressed by a number of factors including long term stress. 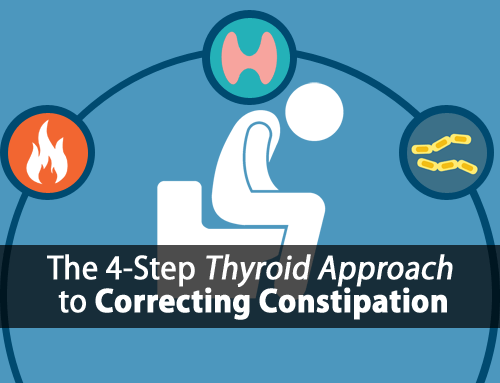 And it’s well known that T4 only medications can artificially suppress your TSH too, while failing to provide any improvement to your thyroid health. 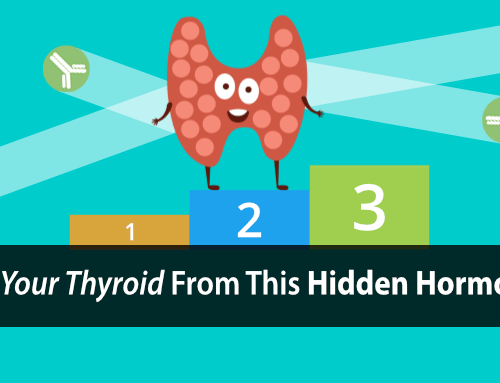 So, if your TSH is above 1.5, even if it’s within the normal test range, then you’re very likely hypothyroid. And if you’re TSH is 1.5 or below, you’re still not out of the woods yet. You still need additional testing to properly assess your thyroid function and determine if your TSH level is reliable or if it’s being artificially suppressed. The good news is that we have a free thyroid testing training protocol that shows you how to test your own thyroid function more accurately, for free, and from the comfort of your own home. Adrenal fatigue is a very misunderstood topic today. And this is because your adrenal glands don’t actually fatigue. In fact, the forefather of modern endocrinology, Dr. Hans Selye, showed in his research that you can remove the adrenal cortex from the gland, and it will regenerate rather quickly. So, while your adrenal glands don’t actually fatigue, it’s commonly believed that adrenal insufficiency will make your thyroid condition worse. 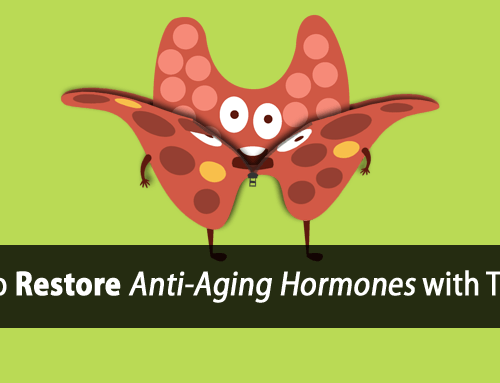 Your body requires thyroid hormone to produce your adrenal stress hormones. The result of increased ACTH production which is a hormone that directly stimulates your adrenal glands. The result of impaired blood sugar handling caused by your hypothyroidism which stimulates the production of stress hormones to prevent low blood sugar. As your adrenal glands are over-stimulated this further suppresses your production of thyroid hormone, by blocking the conversion of thyroid hormone at your liver (an integral part of your Thyroid Hormone Pathway). It all boils down to a matter of supply and demand. The less thyroid hormone you have available, the more your adrenals are stimulated. The more your adrenals are stimulated, the more your thyroid function is suppress and the less thyroid hormone you have available. As this viscous cycle continues, eventually you reach a point where the demand for stress hormones exceeds your ability to produce them because you don’t have an adequate supply of thyroid hormone to do so. As a result you’ll see an initial rise in the stress hormone cortisol as demand increases (oftentimes referred to as stage 1 of adrenal fatigue). Then your cortisol begins to fall as you lack adequate thyroid hormone needed to continue such a high rate of production (oftentimes referred to as stages 2 and 3 of adrenal fatigue). Without adequate thyroid hormone, your adrenal glands can’t produce adequate stress hormones. You can’t make lemonade without lemons, no matter how hard you try. This is why your cortisol levels drop when you’re hypothyroid. Not because your adrenal glands are “fatigued”. Because you lack the thyroid hormone needed to produce it. The solution is to address your adrenal issues from both directions. First, stop the over-activation of your stress response, thus decreasing your need for stress hormones. Second, ensure that you have adequate thyroid hormone and thyroid function to produce adequate stress hormones when needed. Much like the flawed “adrenal fatigue” theory, many people are wrongly blaming their thyroid condition on their gut issues. And much like the case of adrenal fatigue, it’s your thyroid condition that’s causing your gut issues. And this is also explained through research. For starters, research has shown that hypothyroidism sufferers are very susceptible bacterial overgrowth in the small intestine, often referred to as SIBO. Now you know the truth of why so many people depend on probiotics today. At the same time, research has also shown that this bacterial overgrowth causes damage to your intestinal lining and a loss of enzyme production. Effects of an enteric anaerobic bacterial culture supernatant and deoxycholate on intestinal calcium absorption and disaccharidase activity. It’s also important to understand that every cell of your body relies heavily on thyroid hormone to properly energize and perform its necessary functions, including the cells of your digestive tract. When the cells of the digestive tract can’t properly energize, they lose their rigid cellular structure enlarging the gap junctions of your intestinal lining, which further leads to digestive leakiness. And now you know the truth of why many hypothyroidism suffers develop leaky gut and lactose intolerance… both of which can be corrected by fixing the underlying cause, which we do and do so effectively. I have had clients with severe digestive issues, some which have been medical mysteries that have seen incredible improvements by simply addressing restoring their Thyroid Hormone Pathway and thyroid function. We know food and diet. And we know it on a level of detail that most don’t even know exists. So many people look at their diet on a superficial level. They have a list of good foods that they will eat and bad foods that they try to avoid. That won’t get you very far when it comes to your thyroid health. That’s why we rely on our Strategic Thyroid Balancing Principe to create balanced meal plans for our clients that actually work. And they work by balancing your diet on four different levels. Balancing thyroid suppressive and thyroid supportive foods. Balancing on a macro-nutrient level with the best ratios of proteins, carbohydrates, and fats at each meal. Balancing the thyroid suppressive and thyroid supportive amino acids that make up the proteins you’re eating. Balancing the specific types of carbohydrates (i.e. fructose and glucose) you’re eating for optimal thyroid function. Balancing the specific types of fats you’re eating based on their effects on thyroid function. Balancing on a micro-nutrient level by balancing calcium and phosphorus, zinc and copper, and other micronutrients that affect your thyroid health. It’s complicated and I get that, but it’s also important and something you can’t ignore. But you don’t need to get a PhD. in nutrition to get the help you need. If your car breaks down, you don’t enroll in auto-mechanic classes to learn how to fix it yourself. You take it to a mechanic and let them fix it for you. This is why we design our thyroid diet and our meal plans around this Strategic Thyroid Balancing principle, so you don’t have to worry about it. It’s what makes our Ultimate Thyroid-Boosting Meal Plan so effective. Just don’t make the mistake that most do by thinking that removing a few foods from your diet is going to be the answer to all your problems. If you’re using a T4 only medication like Synthroid or Levothyroxine then this doesn’t much apply to you. But you still need to know this because at some point in time, you’ll likely need to switch to a medication containing T3 that can help you far more. The half-life of the T4 thyroid hormone is quite long. So, you can take it once a day at any time and it won’t make much of a difference. Your T4 levels will remain stable regardless. If you’re using desiccated thyroid or a medication or supplement containing T3, then this does apply to you. The half-life of T3 is relatively short. So, once it’s absorbed it only works for the matter of hours before you lose it and its benefits. If you take it only once in the morning then by around lunch time it will be out of your system. And this is the reason people oftentimes feel better in the morning after taking their medication and then feel worse by the afternoon or as the day goes on. Keeping T3 stable and not letting it drop is important for a number of reasons. And to do that we need to use T3 in appropriate amounts multiple times a day. Today, Hashimoto’s thyroiditis is typically diagnosed by lab testing to look for the presence of certain anti-thyroid antibodies. If these anti-thyroid antibodies are detected at a significant level then you’re given little hope and told that your immune system is attacking your thyroid gland. Studies such as the one below have shown that the presence of these anti-thyroid antibodies doesn’t mean that they are infiltrating your thyroid gland or that your thyroid gland is being damaged. These anti-thyroid antibodies are found more commonly and to a greater degree in other autoimmune conditions like Sjögren syndrome and rheumatoid arthritis than in Hashimoto’s thyroiditis. So the presence of these anti-thyroid antibodies is not an accurate way to test and diagnose Hashimoto’s thyroiditis. Simply the presence of these antibodies does not mean that they are attacking your thyroid gland. The only way to accurately diagnose true Hashimoto’s thyroiditis is to biopsy the thyroid tissue and look for signs of infiltration and damage. Weight loss is a very touchy and misunderstood subject. This mentality is what prompts many to take up extreme diets and/or over-exercise at the gym trying to get their scale to budge. And while some do see initial results, they are paying the price by further damaging their thyroid health. This is why we so commonly see the cycle of initial weight loss followed by weight gain. The problem is that most have it completely backwards. You don’t lose weight to improve your thyroid health. You improve your thyroid health to lose weight. Focus on the latter and you’ll get far better, healthier, and longer lasting results. If you’re currently supplementing more than a few hundred micrograms (not milligrams) of iodine daily then this is for you. Many people are led to believe that if you’re hypothyroid you need to supplement iodine. What you need to understand is that too much iodine will only further suppress your thyroid due to what’s called the Wolff-Chaikoff’s effect. It has also shown to cause/worsen Hashimoto’s thyroiditis, promote the development of goiters, and cause thyroid cancer. While iodine was once used to treat goiters in iodine deficient regions, too much iodine can also cause goiters to develop. So, what about the Japanese who consume large amounts of iodine in their diet? You may not realize this but research shows that the more iodine they consume the higher their risk of hypothyroidism and Hashimoto’s too. The Japanese aren’t quite the spitting image of thyroid health that most believe them to be. There are also dozens of studies showing that iodine treatment administered in iodine deficient regions has time and time again led to increased rates of hypothyroidism, Hashimoto’s thyroiditis, and thyroid cancer. Yes, you need some iodine, which is easily obtained through a healthy diet. Just be careful of iodine supplements as most contain toxic amounts of iodine that can make your condition far worse. I guess you can say that I saved what is possibly the most important of all thyroid mistakes for last. And I did so because this one wouldn’t make sense until after you’ve read the previous nine. I believe that this is the biggest mistake today that is preventing most hypothyroidism sufferers from getting the results they really want. As you can see, we’ve covered a lot of controversial topics here and for good reason. A lot of these “mistakes” are based on much of the common, yet misguided, health advice that most people have come across today. One of the biggest hurdles that I face today when working with clients is NOT helping them get great results with their thyroid health. In fact, that’s the easy part. The biggest hurdle is getting people to let go of all the misguided health advice so that they can move forward and experience those results. Sometimes we can become our own worst enemy. Sometimes we’re just a little too blinded to see the answers right in front of us. With that being said… making mistakes is actually a good thing. It’s an important part of life. It’s how we learn, grow, and get closer to achieving our goals. Like Thomas Edison, who had to learn thousands of ways NOT to make a light bulb before discovering one that actually worked. We just have to be careful so we don’t continue to make the same mistakes over and over again. Unfortunately, that’s the trap that many fall into, and sometimes never get out of. And as I mentioned, I’ve personally made a number of big mistakes when I first began dealing with my own thyroid issues… some on this very list and plenty of others that aren’t. …and I wouldn’t be able to offer you the help I’m able to today. The easiest way to get yourself back on the road to recovery is to start with the right diet. And in the 3 Food Triple-Thyroid-Boosting Daily Protocol, we’ll show you exactly how you can start using your diet to fix some of the many underlying causes of your hypothyroidism. This protocol is used by each and every one of our clients and it’s so easy I want to share it with you too. Tom, could you address the presence of halides- fluorine, bromine and chlorine interfering with thyroid function in the liver. I keep reading that iodine is needed to get rid of this before it can be used in the liver. Continually increasing levothyroxine and armour while becoming increasingly depressed and then needing anti depressants. I’m also guilty of extreme dieting. In regards to be believing that thyroid health is a matter of good food vs. bad food, I was wondering if this is related to the ever popular Paleo and AIP diet that is extremely popular in the hashimotos and autoimmune communities. What do you think about theses elimination diets? Hi Melissa, I’ve written about the dangers of low carbohydrate diets and how they suppress thyroid function (http://www.forefronthealth.com/low-carb-thyroid-dangers/). Most diets out there today fail to properly support thyroid function due to the gross misguided information out there. It all goes back to Mistake #10. This is a great read. I have made all these mistakes. With your program I am feeling better. The weight has not come off yet but I believe it will eventually work itself out. The past few years have been an eye opener — after nearly 10 years and little success with conventional medicine, I struck out on my own doing research and was astonished to learn how horrible medical care is at helping thyroid related problems. I’ve finally found a Dr. that works outside the conventional theories, however, is still not addressing the gut issues, liver function, etc. I’ve started your 3 item Thyroid Protocol, and am looking to improve diet and supplement with enzymes. Any other suggestions on where to start with repairing my digestive tract? This bounty of information you’re publishing is amazing — I’m forever grateful to you for sharing your knowledge. Read your book, Hypothyroid Revolution, and it makes perfect sense. I’ve started taking my life back. But this one lingering side effect of hypothyroidism has me puzzled and many others like me (as indicated in the hypothyroid forums): Air hunger. This awful sensation that you lack oxygen. Blood levels are normal or only minimally high. Is there anything your diet can to do help increase oxygen in your blood flow? Hi Vicki, that’s a common issue due to the dysfunctional metabolism caused by hypothyroidism. Healthy oxidative metabolism results in the byproduct of carbon dioxide which is necessary for the release of oxygen from hemoglobin to enter your tissue and further promote metabolism. Hypothyroid people develop dysfunctional metabolism which results in a lack of carbon dioxide and an over-production of lactic acid. So, when you don’t produce adequate carbon dioxide or don’t retain it in the bloodstream, then more oxygen remains bound to hemoglobin and can’t be released. This is what commonly causes oxygen deprivation even when adequate oxygen is available. Of course restoring healthy oxidative metabolism is the answer. However, bad breathing which will temporary help increase carbon dioxide retention can be used therapeutically as well. Hi Tom: Thank you for all good information. Your articles are completely different from Dr B. who says he has cured 20,000 patients with 12mg.o r more of Iodine. Even hashimotos and nodules. My question is: people who take armour should divide the miligrams and take twice a day? what else is there. which probiotic is the best for SIBO. Hi Shakeh, I can’t speak for Dr. B. I can only speak for the research and my work and experience with my own clients. That level of iodine is quite dangerous has been shown to cause irreversible damage to the thyroid gland for some. Many people do better dividing up their thyroid dosage. Some do better with 2 doses but most do best with 3. Much it depends on how your body is compensating. As for SIBO, I don’t think that probiotics are an effective solution either. Probiotics still produce endotoxin and lactic acid which are harmful. The small intestine should be relatively sterile meaning free of bacteria. Dr. Raymond Peat has also mentioned many scientific studies showing that a sterile gut results in both superior health and longer lifespan when compared to controls. We use a lot of things to help lower intestinal bacteria including raw carrots and bamboo shoots. Hi Tom, thanks so much for all you do, I didn’t realize hypothyroidism was so far reaching into other areas of health. Could you please pass an opinion on heart palpitations, I believe it’s a side effect of the medication. It does seem to be getting worse as the years go by and just wondered if these are harmless heart flutterings or something a bit more serious. Also, after reading a letter from one of your other readers regarding oxygen in the bloodstream, could this be the cause of my head rushes/dizzy spells. Many thanks. Oxygen deprivation can cause those symptoms but blood sugar issues can as well. I am using a prebiotic consisting of Kiwi extract and powder. What is your advice on using this product. I have been diagnosed with Hypothyroidism with non-toxic multinodular goiters. as regards your advice about taking desiccated thyroid multiple times a day, I have been told to take such medications away from food, other supplements (particularly calcium) for at least an hour. do you agree with that caution? and if not, what do you suggest? Thanks for this great information. I was on a very low carb diet for a few months, about a year ago. I stopped when I experienced heart palpitations and weakness during workouts. I tried to switch back to a normal-carb diet, but found that I felt very hypoglycemic after eating higher GI foods. As a result, I have spent the last year eating a relatively small number of carbs (less than 50g per day) to avoid the hypoglycemia. I experienced increasing insomnia and shakiness, which I now realize was a result of induced hypothyroidism and cortisol/adrenaline stress response. I am trying to adopt your UTB meal plan, but find that my blood sugar crashes (drops from 90 down to 66) within 30 minutes of drinking OJ. Is this reactive hypoglycemia? Do I need to continually sip OJ to support my blood sugar? Will sticking to your meal plan rectify this over time? I’m an otherwise super-healthy 54-yr old male. Studies show that it’s the frequency of carbohydrates not the quantity that help regulate the stress response. Sipping slowly is always recommended because of this. Relying on cortisol to regulate your blood sugar is very thyroid suppressive. Thanks Tom. I just bought your program on line, and can see now why I was having trouble with the OJ. I’ll moderate my approach. Keep up the good work. I’m an Engineer too, and have stacks of data on my blood sugar, heart rate, temperature, blood pressure, food intake, etc over the past year. I’ve been zeroing in on thyroid issues, and that led me to your work, which is far more advanced than mine. Thanks for saving me time! You have a depth of understanding that I’m sure I never would have been able to achieve in one lifetime. Hi Tom, I am so excited to start the program. Should arrive soon. I am taking 1 grain of armour in the morning. Can I cut the pill in half to take in the afternoon? Looking forward to better health and understanding of my thyroid! Hi Tom. Six years ago I was diagnosed with Hashimotos and started taking a product with iodine iodide and selenium. Last year I discovered a nodule and saw a specialist who did a biopsy after seeing my blood results only 1.8 TSH. He didn’t like my health product as thought there was too little selenium and too much iodine/iodide but somewhere along the way it brought my levels down to where the doc says I no longer have Hashimotos!!! I am presently using your testing method and so far so good!!! Hi Tom, I am a 71 yr old female. In recent months I have been dx with hypothyroidism, taking 50 mg of levothyroxine each morning. I am a 21 yr., stage 3 ovarian cancer survivor. After my chemo I was given p-32 radiation to my abdomen. Later a gangrenous gallbladder w removal of partial intestine. I understand that a person w low thyroid can gain weight and taking thyroid meds can help you lose weight. Well, I am already thin and wonder if the meds are causing weight loss. I am thinking of taking pro-biotics also because of my prior radiation/surgery. Any info with the little information I provided will be appreciated. I can furnish more if needed upon request. Hi Ruth, I wouldn’t say that thyroid meds are meant to induce weight loss. 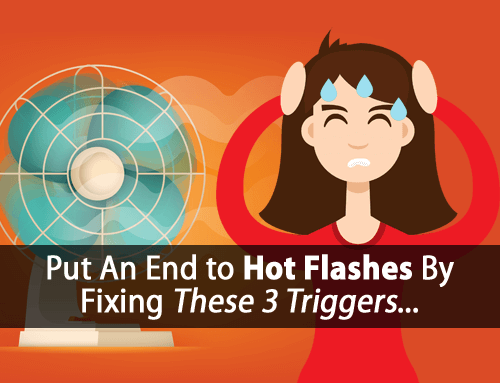 In your case as with many others, it’s the stress hormones that result from your thyroid condition that cause the severe wasting of muscle tissue. In this case, using adequate thyroid hormone would NOT speed up weight loss. Addressing your thyroid dysfunction properly would involve suppressing the stress response, increasing production of protective youth hormones, and stopping this wasting process. Hi Tom, so you don’t recommend probiotics due to its effect but do you think the same of fermented foods like saurkraut and yogourt? Should they be avoided especially with SIBO? Hi Sonya, we recommend fixing the problem instead of trying to mask it. Hi my TSH is 11.5 ulU/ml. It sometimes have pain in, my throat what to do and what precuations should i take and intaking alchol and smoking is injurious? Your TSH is quite high and the pain could be related to a goiter or enlarged thyroid. Hi Tom. In the article you state, “…hypothyroidism suffers develop leaky gut and lactose intolerance… both of which can be corrected by fixing the underlying cause…”. I did a year-long low carb diet, which ended up inducing a hypothyroid state. I started your program earlier this year, but still experience some tingling/burning skin after I eat certain foods, like potatoes, peppers, and OJ, among others. I find that antihistamines (Reactine) help with the symptoms. I am drinking bone broth and following your program as close as possible (I use cherry juice instead of orange juice for example). My question is this: should I avoid foods like OJ that cause symptoms, and wait for my gut to heal, or is it better to eat those foods and take antihistamines for the symptoms? I can handle the discomfort, but will eating those foods do more harm than good, or help me to heal faster? Hi John, foods are not the underlying cause of elevated histamine. It’s the elevated serotonin that often occurs with hypothyroidism. Certain safe antihistamines can definitely help, but lowering the serotonin is key. Hi Tom, I’ve been following your program for over 6 weeks now. I just read on online article about how Epstein Bar virus is the root cause of most hypothyroid. Have you ever heard of this? Also, his diet is completely different than yours. Why does this all have to be so confusing. I like your plan…but I really need to loose 10lbs. any advice? Tom any way to shrink a goiter besides surgery? Hello Tom, I want to say to you and others reading your article that this diet has saved my life. My thyroid got really bad 3 years ago and I read everything I could while suffering such horrible symptoms. I followed the AIP Paleo diet very closely. I lost the weight I wanted to, but kept loosing. I became underweight and my blood sugar dropped so low I even had to get up numerous times a night to get a fatty snack. I was miserable again but freezing and unable to sleep again due to low blood sugar. I started searching again and found you and purchased your program. It was so hard at first because I had not been able to eat dairy for 16 years. Coffee hurt my stomach. But I persevered and can now eat dairy and follow all of your diet plans and I take your supplements. 62 and I feel great! Thank you so much Tom.